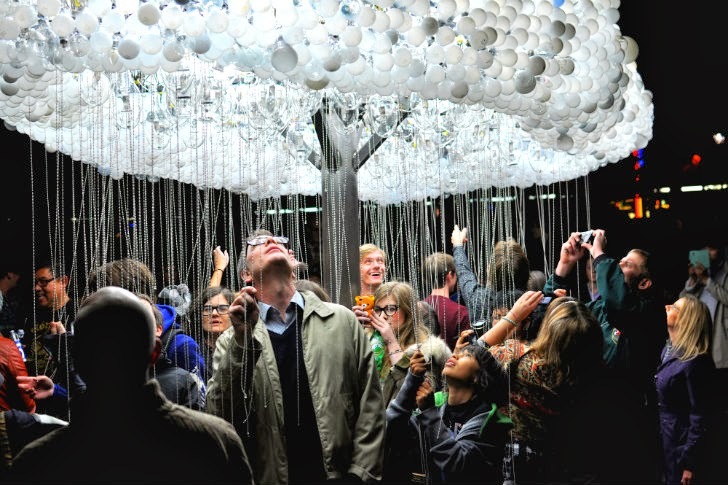 Nuit Blanche arts festival in Calgary, art patrons gathered under the incandescent glow of an artificial cloud. Simply dubbed Cloud, the sculpture was created by Canadian artist and filmmaker Caitlind r. c. Brown. 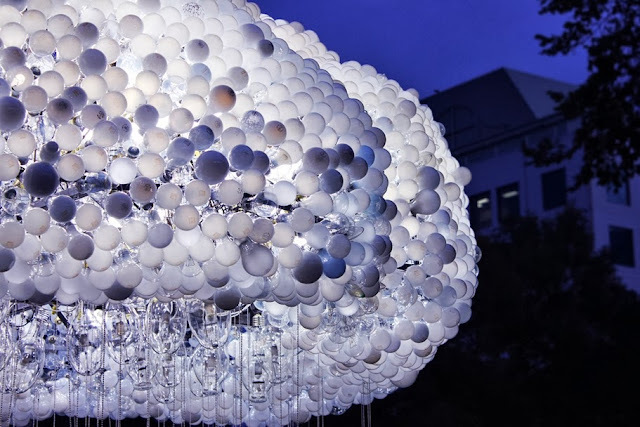 It's made up of 6,000 burnt out incandescent light bulbs collected from donations, with a few working ones scattered amongst them. 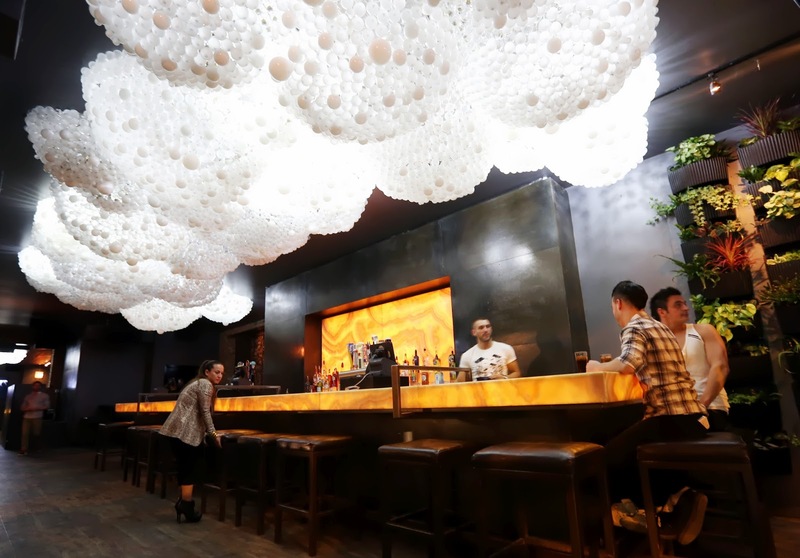 Strings hang from the bulbs and, when given a tug, toggle the lights to create the eponymous and visually striking flickering cloud of light. 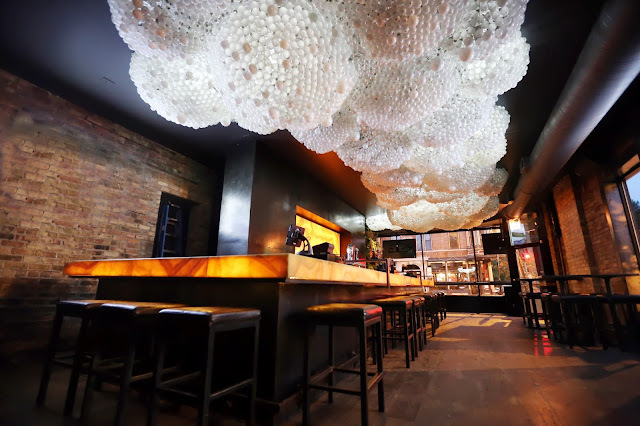 The build process is documented on the Cloud blog and offers a glimpse at the effort involved in pulling the whole project together. 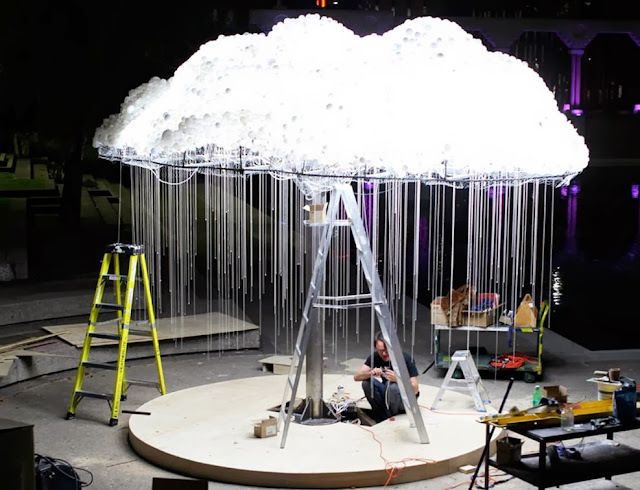 Check out the video below to see bemused art patrons trying out the cloud for themselves.